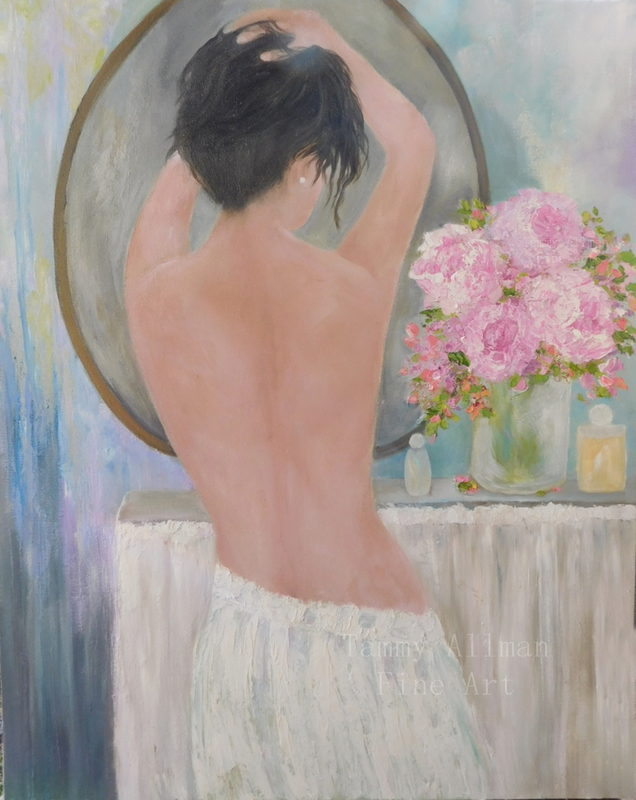 Fine Art Figurative Oil Painting, Woman in the Mirror Painting, "Morning Dressing Room"
I have always loved soft and feminine art and that is reflected in this new piece I just finished. I wanted this painting to reflect that there is beauty in all of us. This painting is done in oil, textured with impasto and paint butter. Comes with my artist statement. Photos are taken in indoor and outdoor lighting to show how oils change with light. Shipped flat by best carrier to your area. Packed professionally. If you location is not listed please contact me for correct shipping cost. 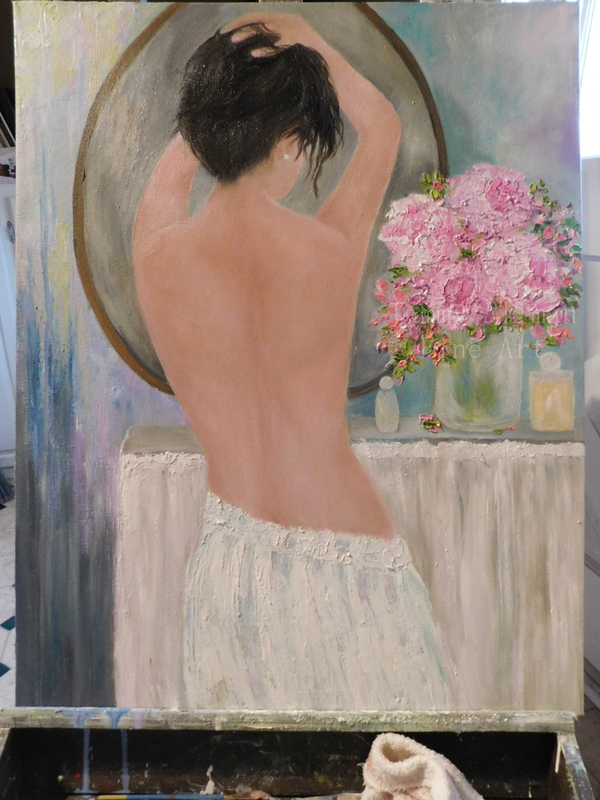 This painting is copyrighted by artist TammyAllmanArt. All rights are reserved and this image cannot be used in any form without license from the artist. Artist retains all right to images after sale and cannot be used for resale in any form. International attorney is retained by artist for International theft. I will prosecute violators of my copyrights!